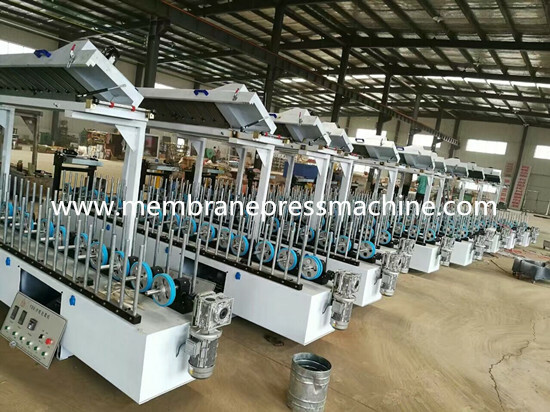 This machine adopts filming and vacuuming technique. 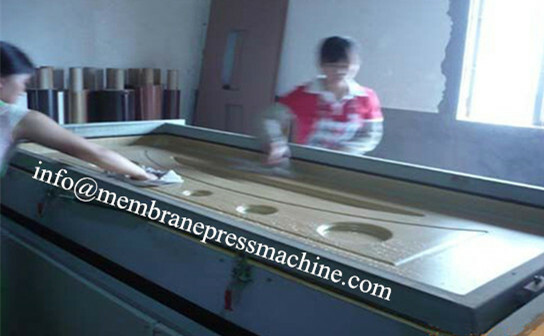 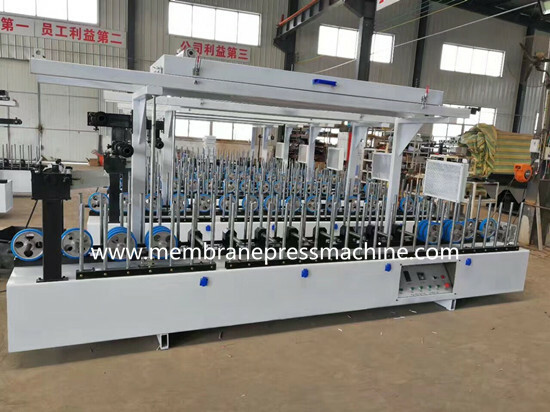 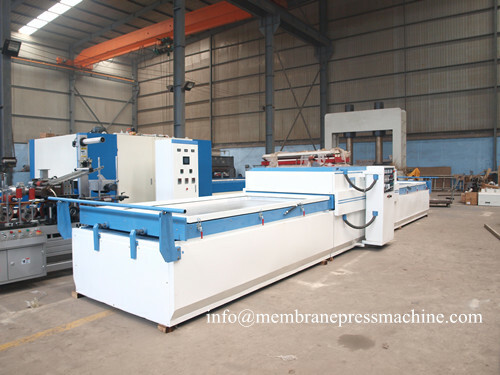 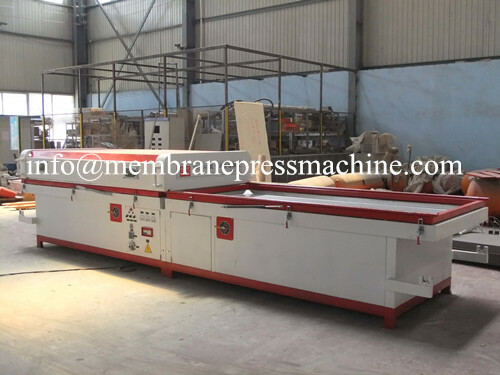 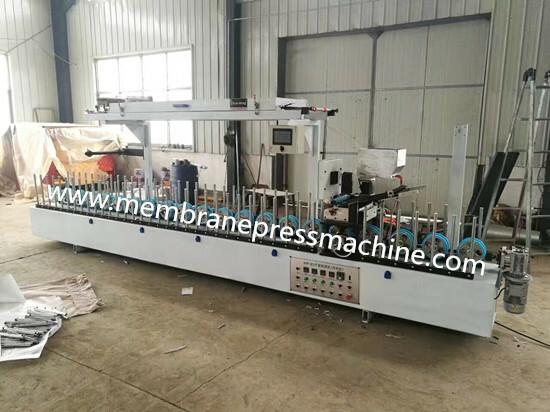 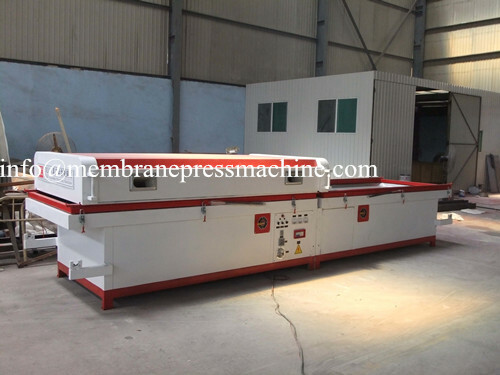 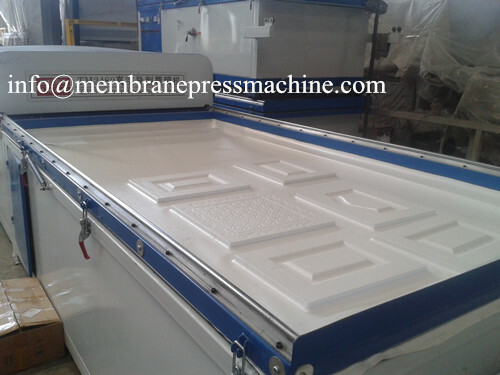 It can cover the PVC ,solid wood and other decorative materials on all kinds of base mterials and can also used for heat transfering process.This machine is designed by 3 phase double station,this design is not only increasing production efficiency,but also reduce electric power costed. 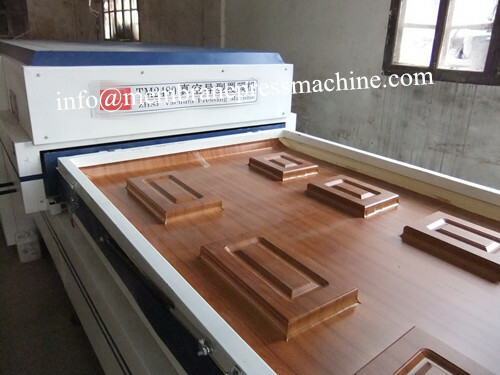 The worktable can move automatically or manually base on operator. 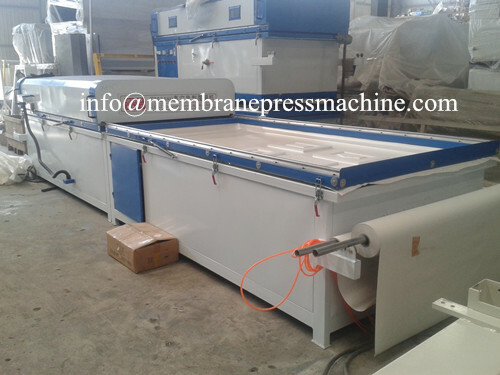 It can finish laminating,temperature setting&controlling and pressure automatically. 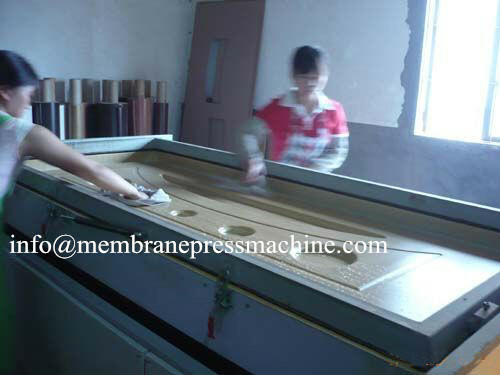 Worktable surface is made of high strength steel which is not easy to be deformed in high-temperature environment. 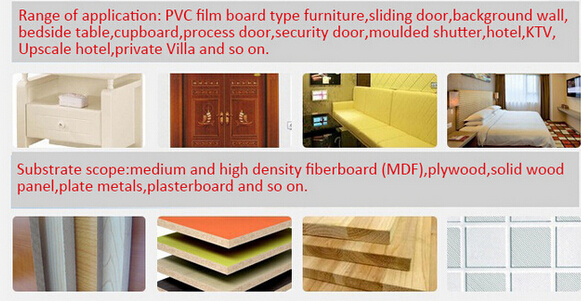 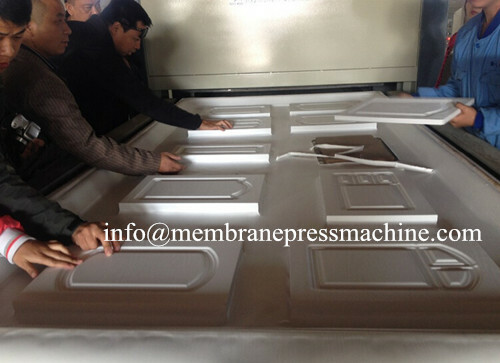 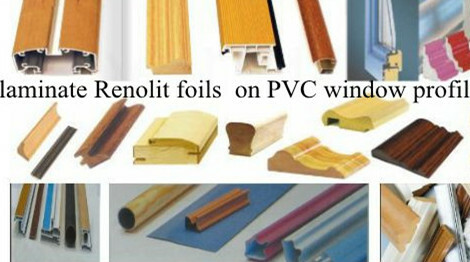 It is the best choose for door,cabinte and furniture to laminate PVC and wooden veneer. 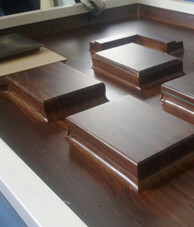 NOTE:The size and quantity of worktable canbe made of as customer.